Stephen King adaptations are all the rage these days. We've got a remake of It on the way, we can expect a big-screen version of The Dark Tower this August, and now it looks like Universal is bringing back an '80s classic. According to Deadline, the movie studio is joining up with Blumhouse to remake Firestarter, the 1984 thriller based on King's eighth novel. The original film starred Drew Barrymore as a young girl with pyrokinetic powers who's kidnapped by the government. Naturally, the bad guys want to make a weapon out of her, but as you've probably guessed, their devious plan doesn't exactly pan out. 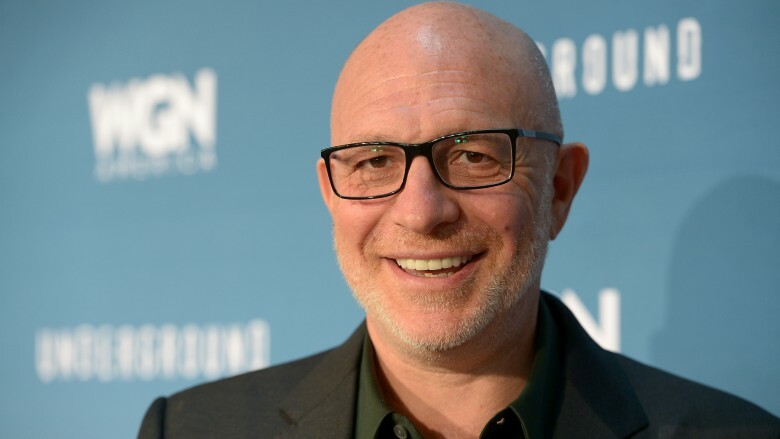 The original film was directed by Mark L. Lester (Commando), but for this new version, directing duties will fall to Oscar-winner Akiva Goldsman (pictured above), a man with some pretty impressive hits in his filmography…along with a few noticeable misses. Goldsman picked up an Academy Award for writing A Beautiful Mind, and he also penned the screenplays for films like Batman Forever, A Time to Kill, Batman & Robin, Cinderella Man, The Da Vinci Code, and I Am Legend. Most recently, Goldsman wrote the script for the upcoming Dark Tower film, and he also just finished directing another flick about a creepy kid for Blumhouse, a horror movie titled Stephanie. In a pretty cool move, Goldsman and Jason Blum (CEO of Blumhouse Productions) announced the upcoming Stephen King remake at the Overlook Film Festival, a four-day horror fest set inside the Timberline Lodge, the hotel Stanley Kubrick used for exterior shots in The Shining. Of course, it's pretty well-known that King absolutely hated Kubrick's movie, so fingers crossed he'll feel better about Goldsman's new project. But while we're waiting for more Firestarter news to heat up, be sure to check out the untold truth of The Shawshank Redemption, another famous film based on King's work.